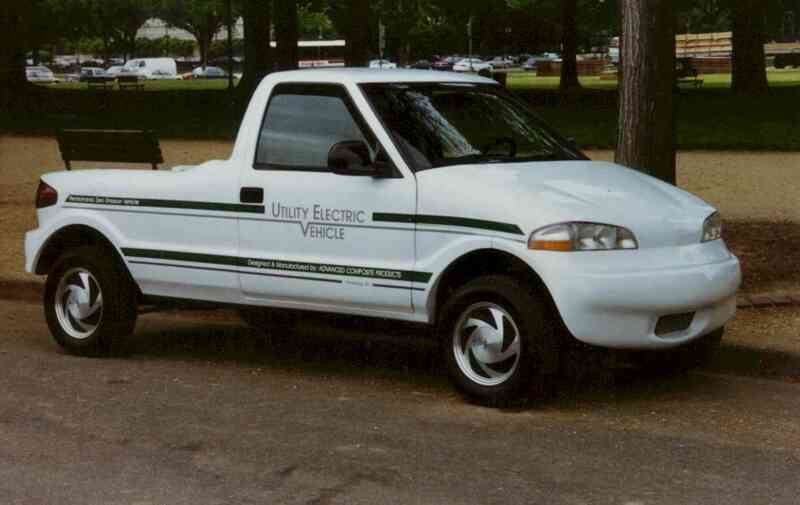 In 1995, ACP built one of the world's first all-composite electric trucks. 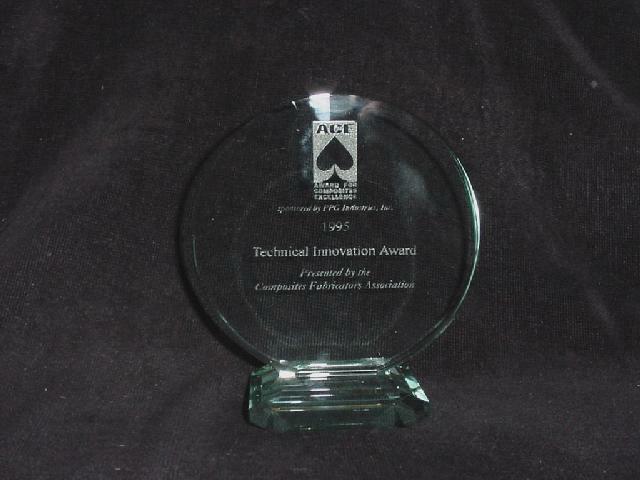 Winning two prestigious ACE awards (for technical innovation and composite excellence) from the Composite Fabricators Association, ACP received widespread acclaim for its prowess in composite design, development and fabrication. 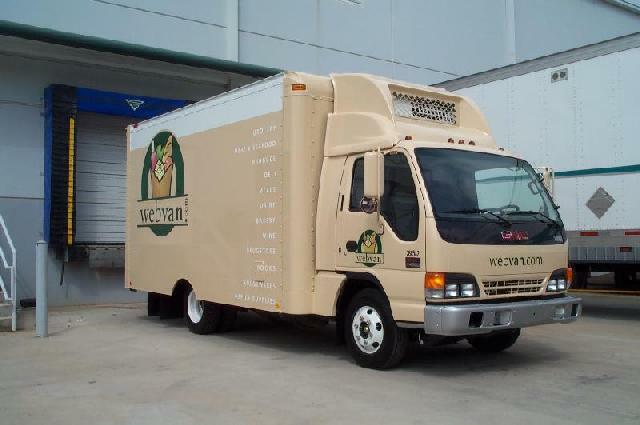 ACP completed this project from initial concept to running vehicle in a miraculous time span of only 9 months! The torch bearing arm being made. 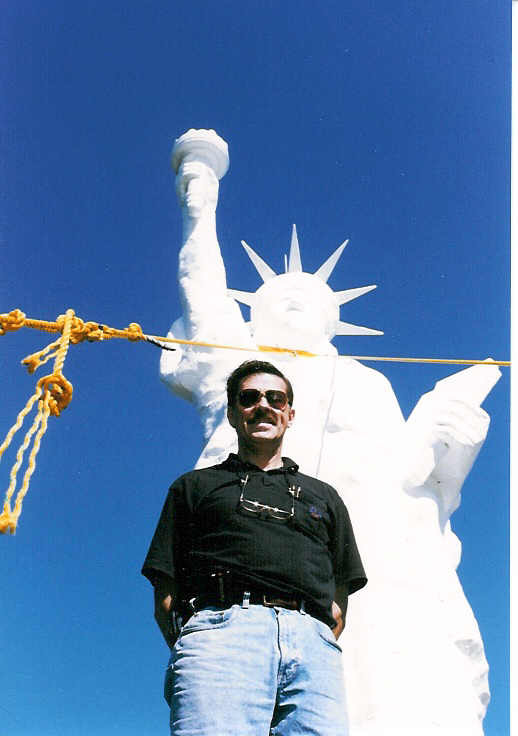 Kerry poses in front of the completed statue. 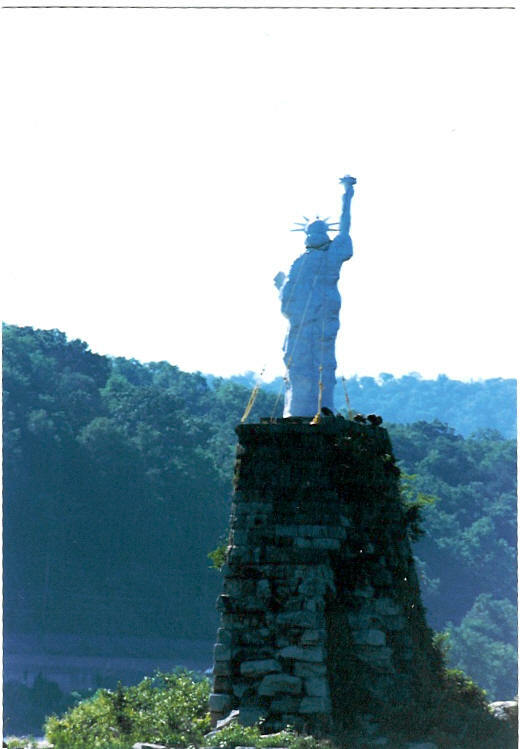 'Liberty' stands vigil over the Susquehanna River. Standing proud over the waters of the mighty Susquehanna River, ACP has created one of the most recognizable landmarks in Harrisburg, Pennsylvania. Made of fiberglass composite over a wooden grid, a helicopter was employed to convey 'Liberty' to its final destination on the river where it was secured to an unused bridge pier. 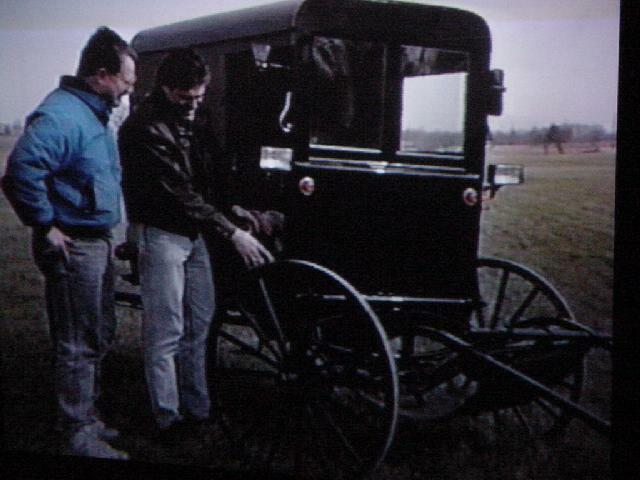 The initial concept was to make a safer "impact absorbing" carriage. When it was completed, the entire carriage, including the springs, was made from composite material using space age technology. 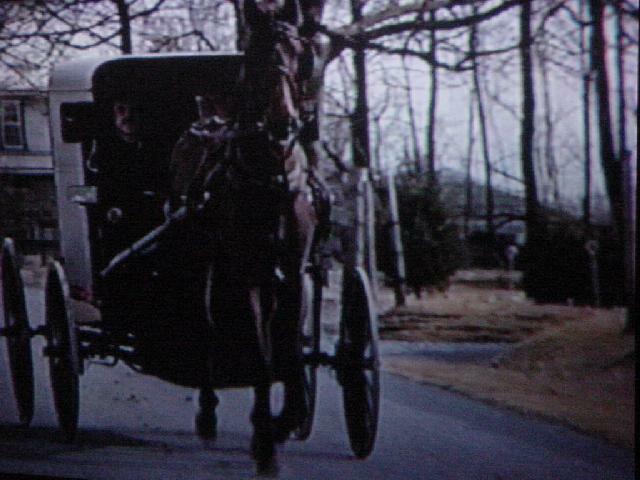 ACP worked directly with an Amish Coachman who oversaw the project. A very large contract depended on rapid prototyping and an expedited production schedule. Our customer had only 5 weeks to present a prototype to the end user. ACP is proud to have succeeded in this time sensitive endeavor and to have been the key player in this success story. ACP's 'baby' from start to finish, ACP designed the pattern, built the tooling, and fabricated the 'use specific' carbon fiber body for the GMC Envoy that won the 2000 Adelphia Pike's Peak International Hillclimb in Colorado Springs, CO. 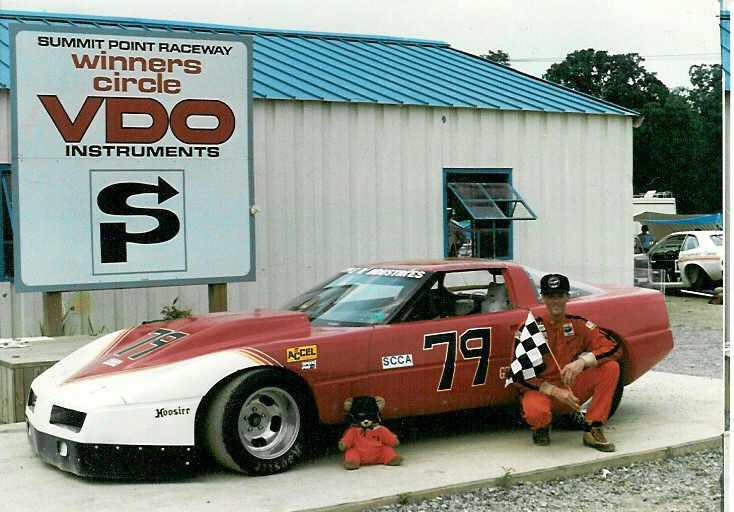 In 1984, ACP was one of two companies that was chosen by General Motors to design and build race bodies for the C-4 Corvette. It was successfully used in the SCCA Trans Am and Club racing, winning it's share of races. In 1997, lightning struck again, Paul Gentilozzi won the Trans Am Championship using a C-5 Corvette body that was designed by Brian Miller, an aerodynamicist with General Motors, and built by ACP. 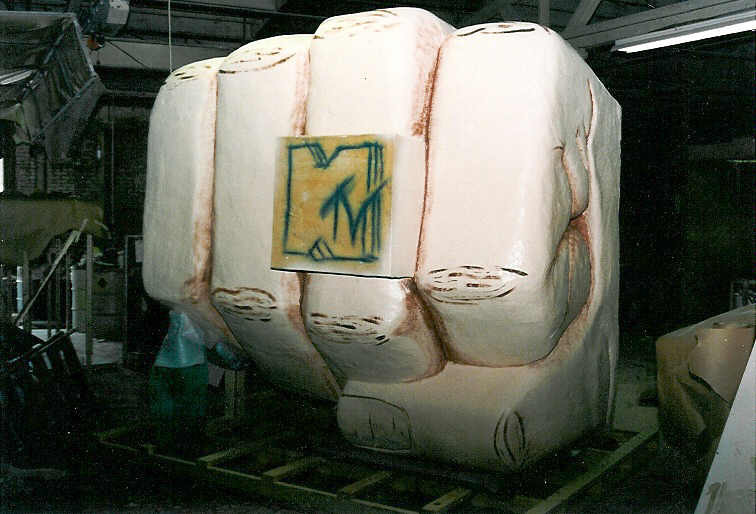 In this demonstration of ACP's versatility, we were required to make a giant, lifelike fist (9 ft. x 9 ft.) as a prop for use at MTV promotional events. 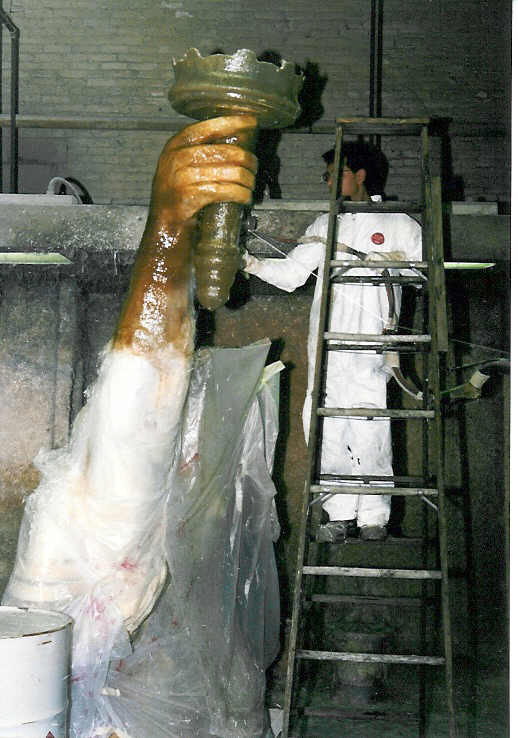 This was achieved using a fiberglass composite/foam process.